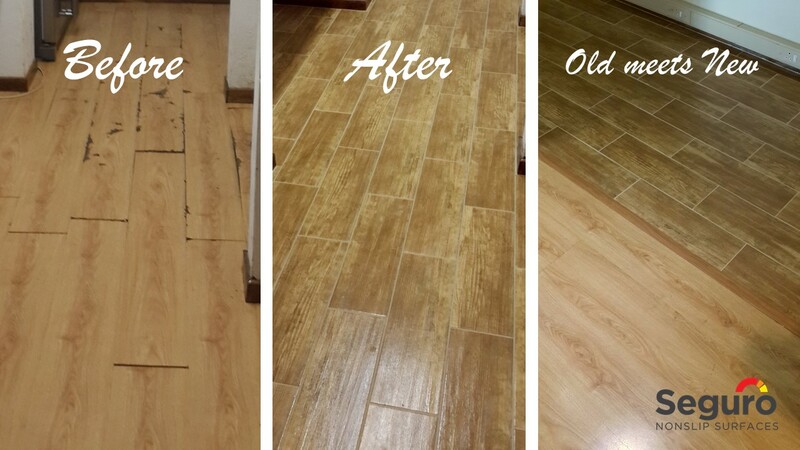 When our client took over the office building in Kyalami they installed all new laminate flooring through out. Over the years the laminate has worn down in high traffic area and the damaged laminate needed replacing. We suggested a selection of slip-resistant ceramic tile that would be suitable to the area they needed to fix up. Having made their choice we were contracted to remove the old laminate and install the new ceramic tile. The client opted to keep costs down and we only renovated a section of the office. To bring the two different flooring treatments together we used a matching transition strip to finish off the work.